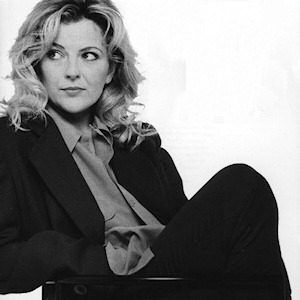 Recording artist and BBC Radio 3 presenter Claire Martin has spent the last 29 years honing the craft of jazz singing. To worldwide critical acclaim she has established herself as a tour de force on the UK jazz scene gaining many awards, including winning the British Jazz Awards seven times along the way. Claire has performed all over the world with her trio and celebrated composer and pianist Sir Richard Rodney Bennett, where they played to sell out crowds at venues including the prestigious Algonquin Hotel in New York City. Claire is also a featured soloist with the Halle Orchestra, the Royal Liverpool Philharmonic Orchestra, the RTE Concert Orchestra, the Royal Northern Sinfonia, the BBC Big Band and the BBC Concert Orchestra. She has co-presented BBC Radio 3’s flag ship jazz program ‘Jazz Line Up’ since 2000. Her 2009 album A Modern Art prompted Jazz Times USA to claim: 'She ranks among the four or five finest female jazz vocalists on the planet'. At the Queen’s Birthday Honours in 2011, Claire was awarded an OBE for her Services to Jazz. CLAIRE'S GIG HAS SOLD OUT!